If Barack Obama wins a second term, he’ll have just another four years to carry out his agenda. But he’ll also have the opportunity to put in place people who will long outlast his presidency: federal judges. A few influential judges can define a president, and in a second term, Obama should look beyond the Supreme Court and focus on nominating such judges to lower courts—and getting them confirmed. If a spot opens up on the Supreme Court in the next term, we can be confident that Obama will make an impressive choice, as he did with his first two Supreme Court nominees. But the Supreme Court is just a small part of the story. While there are only nine Supreme Court justices at any given time, there are nearly a thousand other federal judges with life tenure. These judges are not just important in number but in impact: It is the lower federal courts that decide over 99 percent of all federal cases every year. For these lower federal courts, it’s important not just to nominate enough judges and to nominate judges of the right ideology; Obama needs to nominate influential judges—ones whose power will far surpass the reach of their votes and rulings. Obama should seek out judges who will prominently and persuasively articulate a coherent legal vision—judges who can influence how a broad range of people understand and think about the law, through not just their formal opinions but also their articles, debates, and speeches. He should look for people whose legal voices will echo in many places: in other federal courts, where these judges might be cited; in Congress, where the legal analysis of a particularly influential judge can be used to frame a legal issue; in the media, where the opinions of influential judges are covered more than the opinions of other judges; and in law schools, where these judicial opinions will be used to teach the lawyers of the future how to understand a legal issue. Over history, there have been many prominent examples like this. Judge Learned Hand, a twentieth-century federal judge in New York, helpfully analyzed and explained issues like free speech. Today, Judge Stephen Reinhardt, nominated to the Ninth Circuit by Jimmy Carter, uses his public voice to articulate a vision of aggressive judicial liberalism. Judge Richard Posner, a judge on the Seventh Circuit nominated by Ronald Reagan, similarly uses his public voice to communicate a vision of law and economics. When judges like this speak, people listen. One other kind of influence that such judges can have is through the professional legal network they create. They can decide—by virtue of hiring someone as their law clerk—who will be the leading lawyers of the next generation. And influential judges have done precisely this: Their clerks have gone on to become the Attorney Generals, Solicitor Generals, federal judges, and legal scholars of later generations. For instance, one of President Clinton’s nominees to the D.C. Circuit, former Clinton Justice Department official Merrick Garland, has used his influence to place many of his clerks in top positions in the Obama Administration. Former Judge Michael Luttig, a Fourth Circuit judge nominated by the first President Bush who is now in the private sector, played that role for many of his clerks when Republicans were in the White House. Unfortunately, Obama has thus far failed to nominate and gain confirmations for lower federal court judges fitting this description. Adalberto Jordon, who was just confirmed to the Eleventh Circuit, might one day prove himself influential; perhaps Gerald Lynch on the Second Circuit could qualify as an influential Obama nominee, but he was already performing this role as a Federal District judge nominated by President Clinton. Goodwin Liu, an Obama nominee to the Ninth Circuit, could have played that role; so could have Victoria Nourse, an Obama nominee to the Seventh Circuit. But Obama did not succeed in having either judge confirmed by the Senate. After three years in office, and nearly two hundred nominations, this is a true shame. There are important questions about what strategies to use to get influential judges confirmed, because surely they are harder to get confirmed than other judges. It might be that, as Micah Schwartzman has written, nominating more judges like this might get more of these types of judges confirmed. But regardless of the strategy, President Obama must get this done. 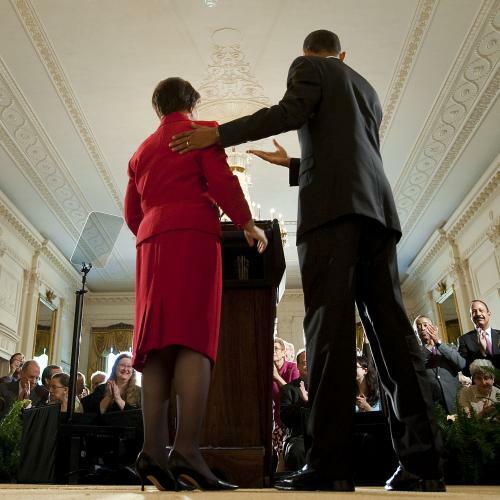 The first term of the Obama Administration was defined by transformative federal laws—health care reform, financial reform, and economic stimulus. Now it is time for Obama to nominate judges whose influence will be just as transformative.